Workshop News: Galway IE sold out! Thinking about India? 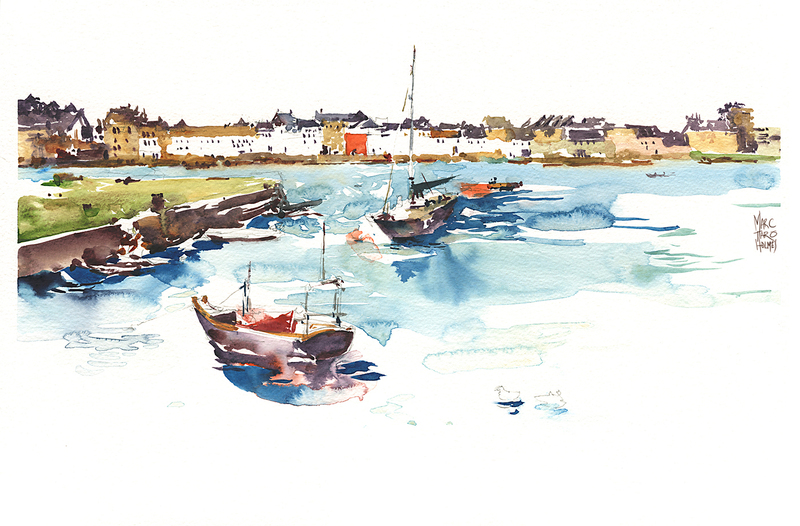 July 2016: IRELAND: This just in: our Galway Ireland Urban Sketching Workshop is sold out! Thanks everyone – we’re looking forward to meeting you all and starting the wandering sketch-trek from Galway to Manchester with those that will carry on with us. We have a short waiting list building up, so you can still contact Laurel to put your name down with the hopefuls. 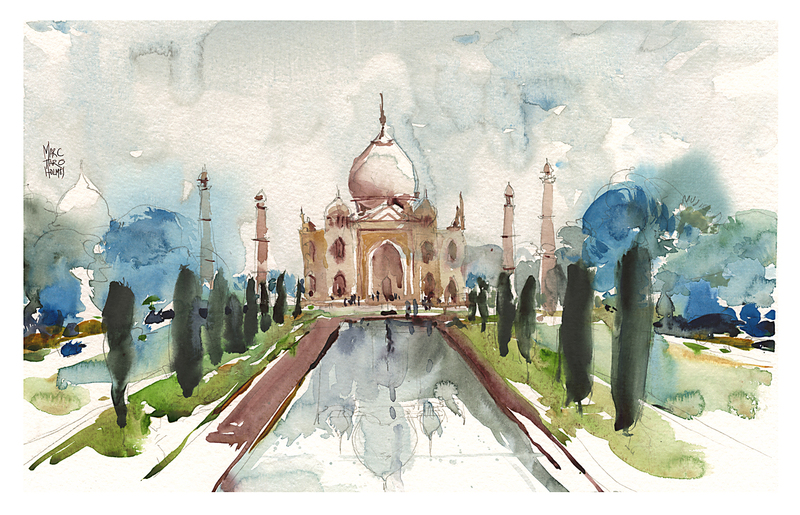 FEB 2017: INDIA: It might seem like a long time in the offing – but if anyone is interested in our FEB 2017 painting adventure trip to India (Delhi/Varanasi/Agra) – it is worth it to sign up soon. We’ve just sold out Ireland six months in advance. So, don’t hesitate if you’re thinking you want in on that painting trip of a lifetime. Head over to the workshops page to get more info on registration. Trip Planning For Portugal Begins in Earnest! In other news: I’m starting the ramp up for travel to Portugal! Stocking up colors and paper. I think I need a minimum of 6 sheets a day to be sure I won’t be short paper. (I’m bringing 10×13″ for a standard format this time – fits in my lighter weight mid-sized bag and makes a 9×12″ original, which is a nice size for framing). And I’ve just been listening to advice from photojournalists who say ‘bring a full duplicate set of all important gear in case of loss/theft/etc’. So I’m doubling or tripling up on tubes and need to purchase a backup set of brushes to go into the suitcase. (That’s going to be a big investment). Some news from online: Roseann Hanson of Arizona showed us this great idea (over in the Craftsy Travel Sketching class message board). She’s invented a DIY magnetic quick release for her drawing easel. Brilliant! Much quicker to set up than the threaded items you might have on a standard tripod. 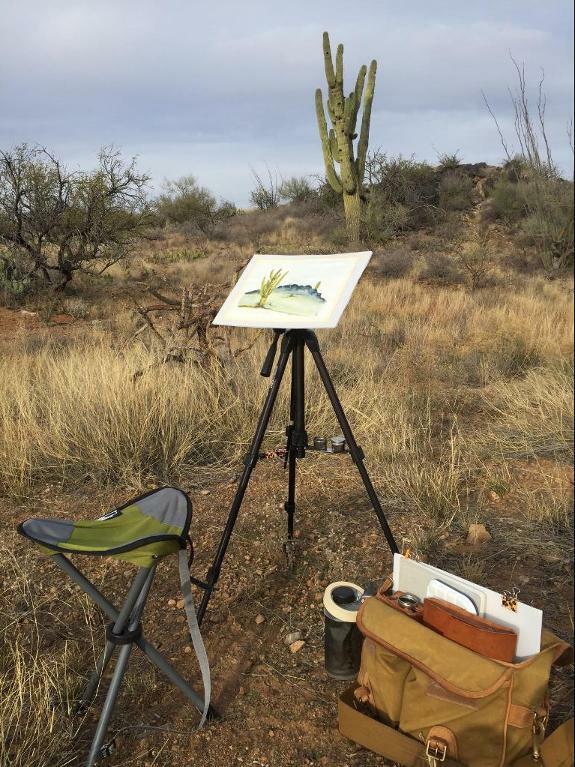 Read about her plein air setup and her very interesting life over on her blog The Constant Apprentice. Here’s another brilliant invention/adaptation. Leslie Fehling of Prosperity PA is using the drop-in magnet trick for her water jar, but has another smart tip – use a drill bit gauge (Velcro’ed on here) for her brush holder. Pretty smart! Something to pick up at the local hardware store. Read the details of her compact lap-desk over on her blog: Everyday Artist. Ok – that’s it for news from the studio – back to planning for Portugal! Hope I get some warmer weather soon to begin training in earnest. ← Good Question of the Week: How do I avoid ‘cartoony’ sketches? Thank you so much for the news and the clever sketching gear ideas! Marc, do you have sometimes problems, because of the wind, with you board? 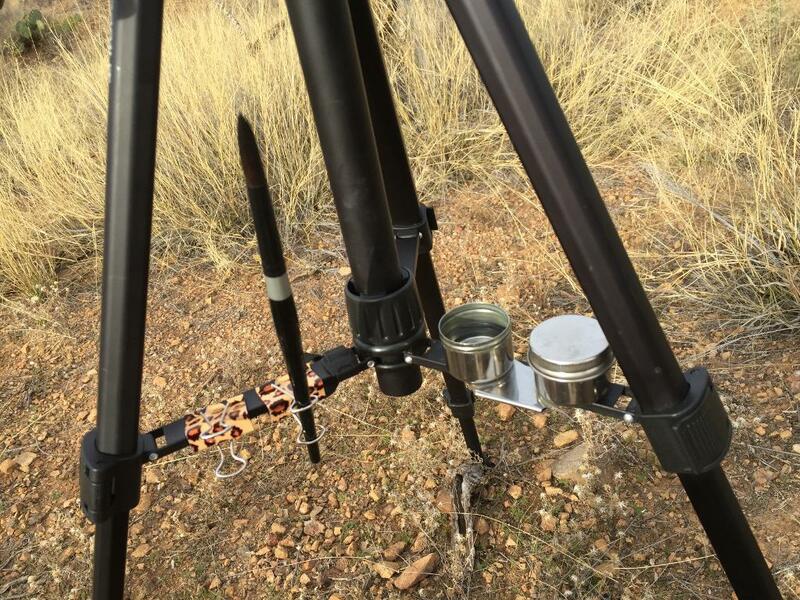 Or are you always working with a tripod? Hey A~L – yes – the wind is always a factor :) I have had my easel blow over entirely in the past. Flip right over like an umbrella. 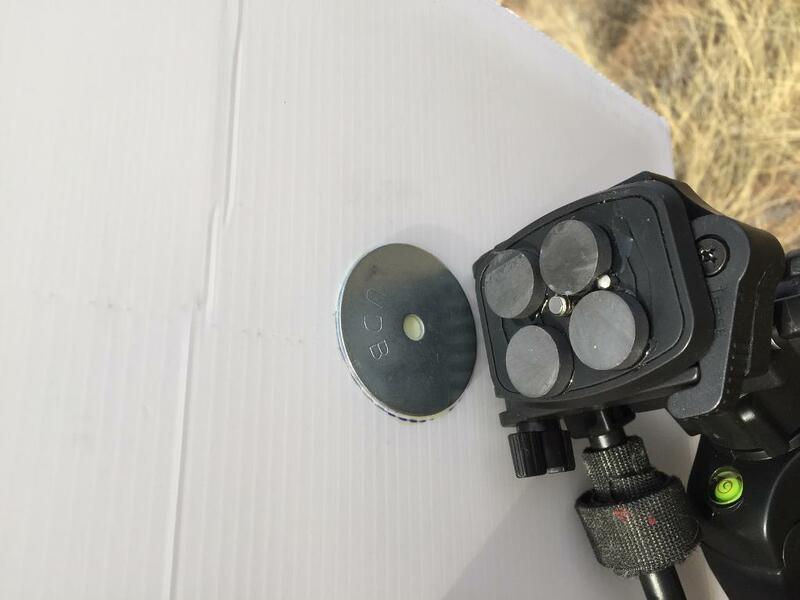 If it’s a gale force wind I hang my backpack off a little hook in the center of my tripod – for extra weight to hold it down. (Not every model has this built-in hook, you can just use a short bit of rope and a carabiner). Old time painters used to carry an empty sack, and fill it with rocks and dirt when they got on location. Only works for landscape painters :) Not so useful in the city. If it’s just strong wind or gusty, I have learned to paint with one hand on the board at all times. If it’s just moderate wind, then everything being clipped down handles the breeze. Curious question. Are the prices for single sketcher and shared room backwards?! Usually a shared room is cheaper?? 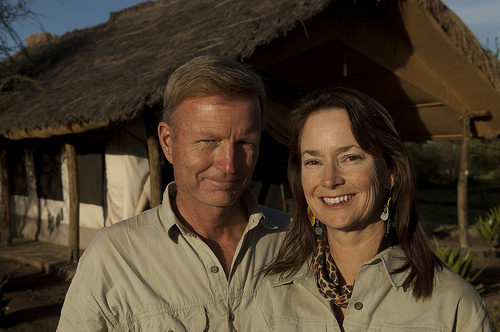 Hey Margaret – (About the India trip) that Single Supp. stands for ‘Supplement’ – that means it’s an additional fee to stay in a private room on top of the ‘twin/shared’ price. These prices do reflect all the transport and some meals for getting us around over there. Thanks! It means we can travel with some back up watercolor tubes in our cabine luggage (in the zip plastic bag), for the case our suitcase is lost :( or something like that. The bag can contain water bottles too, with less than 100 mL of water in each. The whole content of the plastic bag can’t contain more than 1000 mL of products.